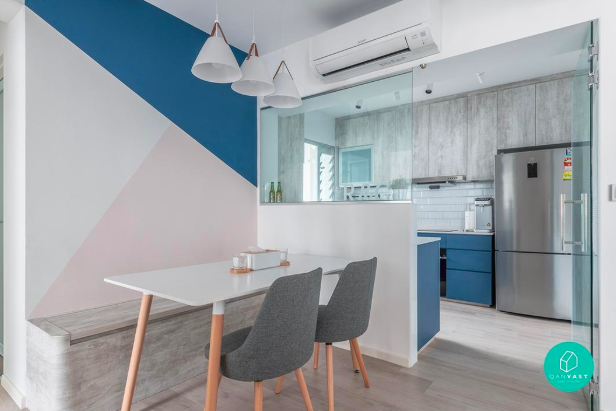 Ask what Ryan and Gillian enjoyed most about their Renovation Journey, and they'll tell you that it was "not having to deal with renovation hiccups". 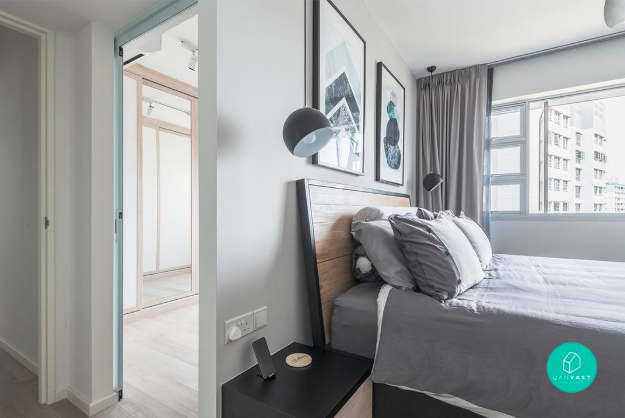 The couple got to experience a fuss-free home makeover thanks to the help of Meter Square designer Mint, who also succeeded in delivering a spacious Scandinavian-style abode that's for keeps. Read on for more about Ryan and Gilian's new home! 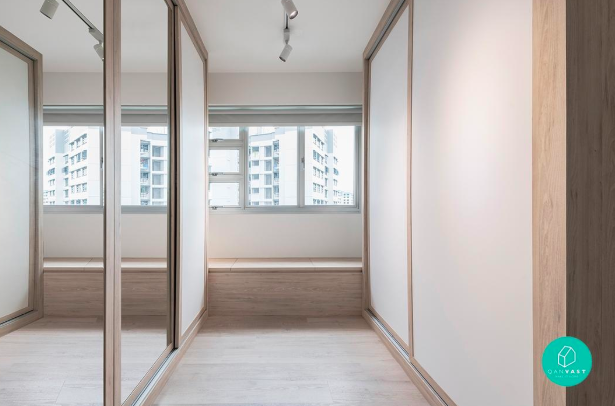 Gillian (G): When we first collected the keys to this place, we felt that our home was very small (as compared to the older HDB flats), we wanted the flat to feel more spacious than it actually is. At our previous place, we didn't have enough storage solutions and things were often left lying around. Hence, to eliminate the visual mess, we created more storage nooks, which are great for keeping things out of sight. G: While the house must look good, I'm all about making sure that the design are a good fit for our lifestyle needs. For example, when we first stepped in and saw how small the kitchen sink is, we instantly knew that we needed a bigger one that would have enough space to temporarily store food trash, but would also prevent it from getting wet. We told Mint what we wanted and she helped us to source for the right sink. We like the open-kitchen concept, but as we cook often, we had to make sure the kitchen could be sealed off to minimise cleaning. We also picked easy-to-maintain countertops and an induction hob that could be wiped down easily. We didn't spare the walk-in wardrobe in the bedroom either - we requested for a storage settee to hide the bags. Ryan (R): We approached Qanvast for help to find a designer and we met three out of the five recommended designers. G: We told all the designers that we met about our concerns over the lack of space in our master bedroom, and Mint was the only designer who suggested sealing one door and hacking off another, so that we could have the sleeping area and the wardrobe in two separate zones. R: After we came in and took a look at the unit, we felt that this was a very good idea since the area that we were hacking would have been dead space anyway. Plus, making this change meant that we didn't have to orientate our bed to face the neighbouring flats. G: Whenever we encountered any issues, Mint would resolve them very quickly. She's very prompt at executing the tasks that we approached her for help with. 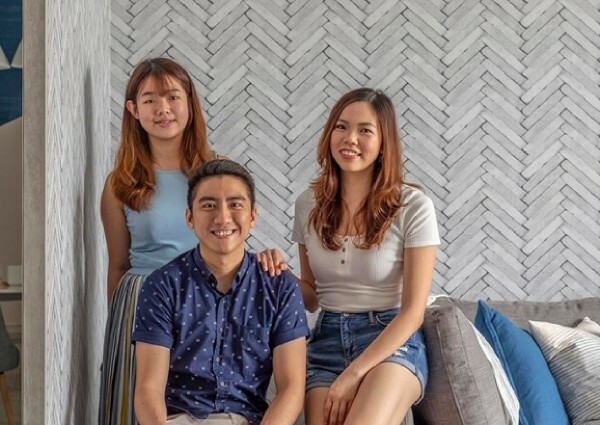 Overall, Mint was definitely more willing than the other interior designers to explore ideas beyond what we wanted, and that was why we felt she was a good match for us. R: We didn't have to make any plans to come down during the renovation either, because Mint would keep us updated with photos of the renovation's progress. G: We budgeted $30,000 for the renovation, however I have to say that the initial quotation from Mint was much higher. To keep to the budget, we had to remove items from our to-do list like false ceilings and a TV console in the master bedroom. R: Don't forget to include the cost of fittings and furnishings. We ended up getting a separate quote for our vinyl flooring, and settled our lighting solutions in Malaysia. Our furniture and home decor items are mainly from Castlery and Taobao. G: My water filter is another splurge, but I feel that it's a worthwhile investment. I don't like the idea of boiling water, transferring it to another flask and then keeping it in the fridge because it involves many flasks and hence, generates clutter. I like my things to be neat and this 18cm water filter from Hydroflux is perfect, because it doesn't take up much space and can dispense hot, cold or warm water anytime we want. G: Homeowners should be realistic about what their budget can bring them, and they should carefully weigh alternatives to see if additional top-ups are worth it. 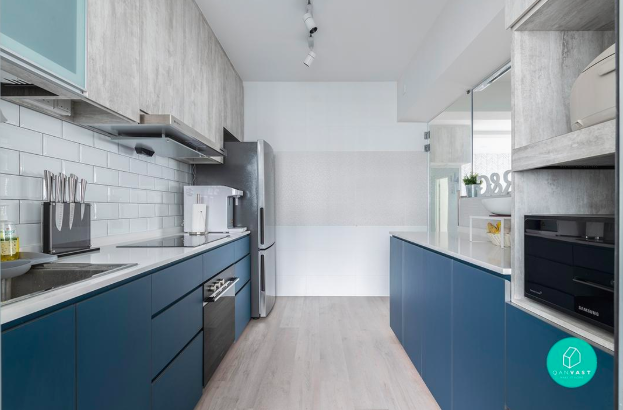 I've seen friends who wanted to save money on carpentry, only to end up buying loose racks and shelves for additional storage - those additions didn't do any favours for their home's new look as well as the $30,000 renovation price tag that they paid for! If you intend to live in your home for long, why not treat it as an investment? 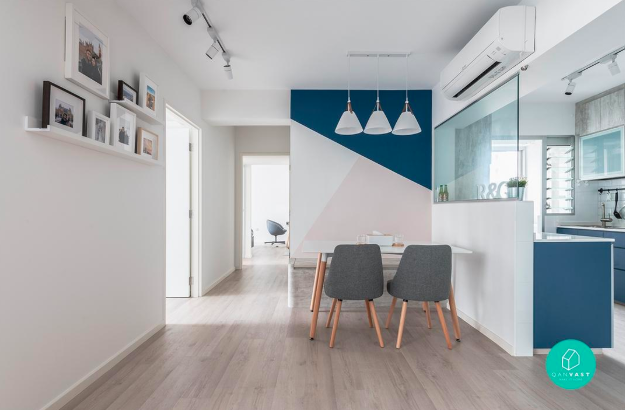 I'm sure all homeowners would want to feel that they are truly home when they step in after a long day, which is why renovating according to your needs is important.